Watch The Citadel's Candlelight Service Live!! We would love to hear your feedback about tonight's concert! Did you like it, what's your favorite Candlelight memory, where you are watching from, and how you heard about us. 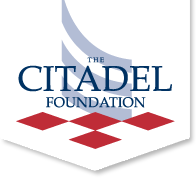 Also, please click the link below and donate to the Cadet Chorale through The Citadel Foundation. We operate off of donations from people just like yourself, so please take the time to choose "Other" from the dropdown menu and type in "The Citadel Cadet Chorale." We thank you and wish you a very happy holiday season!